, your pre-approval request has not been declined. 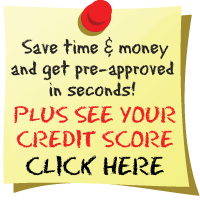 However we will need additional information in order to pre-approve you for auto financing. Please complete and submit the information requested below or visit our dealership within 7 days to complete the pre-approval process. Upon review of this additional information, we will get back to you with our pre-approval decision. If you do not complete our request for additional information within 7 days, you will have to submit a new request for pre-approval if you would like further consideration.